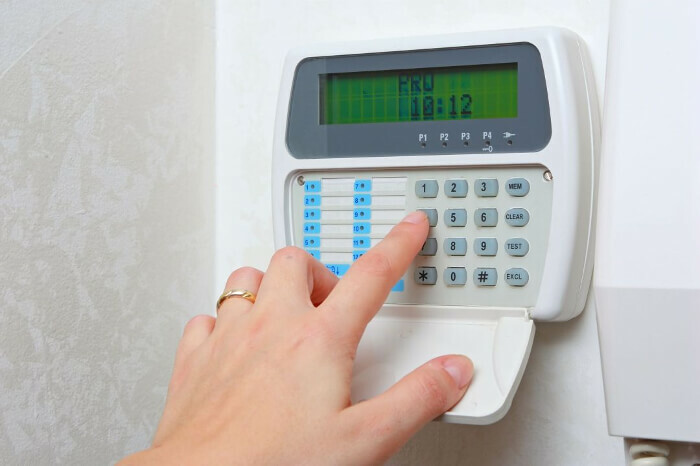 Wireless vs Wired Alarm System: Which is Better? When you are picking your intruder alarm systems, there are a number of brands and models to choose from. However, before doing anything else, the first choice you have to make is whether you want a wired or a wireless system. There are many factors involved when making this decision, so it is crucial that you are fully informed. In this blog, we will discuss their attributes and hopefully reveal what the right choice for you is. If you need any fire or security systems in your domestic or commercial property, give us a call on 0808 164 0280. Wired systems have relatively cheap components. When purchasing your actual system, they are very affordable. However, things like cabling, trunking, and cable clips also cost money, and in domestic properties, the costs will quickly rack up as technicians attempt to hide the cables and connections. Wireless alarms, on the other hand, are all more expensive in terms of buying the components. After all, they are more advanced technology. However, fewer accessory materials are required, and the installation process is both faster and cheaper overall. As mentioned, we have to go to a lot of effort to make a wired system discreet. In a four-bedroom detached house, it can take around a day and a half. With wired systems, in the same size of house, we can be in and out within 5 hours. The short answer is that both styles of systems installed by SSH Fire & Security are perfectly secure. Wireless systems are very reliable. Although there are scare stories about signal jammers, all modern unit contain in-built anti-jamming capabilities. 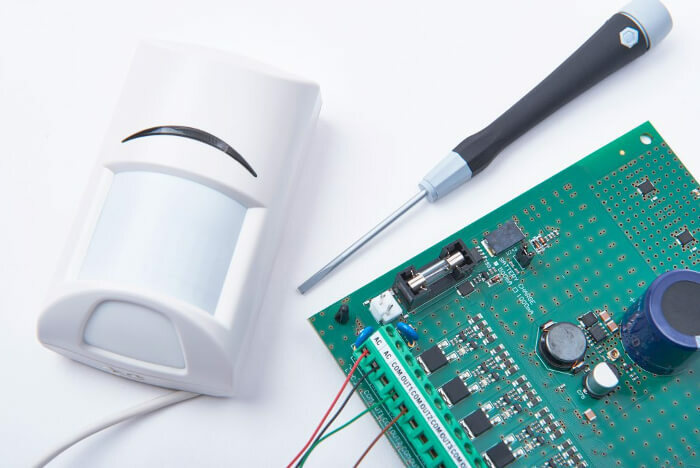 Additionally, anti-masking technology means that motion detectors cannot be interfered with or deliberately obstructed, just like their wired counterparts. Wired systems are similarly reliable. Again, there are horror stories about alarms being tampered with, such as having wires cut, but this is not an issue in modern alarms. All models we install will alert you if anything has gone awry, through the ‘tamper circuit’. You can then organise a technician to come and make the necessary reparations. What Unit Will False Alarm More? People will often tell you that wireless alarms will malfunction and trigger more than wired alarms. This might have been true a decade ago, but times have changed, and technology has advanced. Wireless systems are perfectly stable now – speak to our technicians about what frequencies are most reliable for wireless alarm systems. Wired systems are a similarly reliable option. Occasionally power from the mains may be disrupted, but the backup batteries will stop the alarm from going off. However, it is possible that the backup batteries may be low on power which can lead to the alarm going off. Having said that, you should keep in mind that this can be a problem with both systems and that proper maintenance will minimise the risk even further. If the batteries on a wireless system run low, then the keypads and devices might become slightly slower in response. However, the system is programmed to alert you whenever this is the case, allowing you to address the issue before any problems surface. Unless there is a fault, wireless systems work perfectly well. When all said and done, there is very little separating the two systems in terms of overall performance. It comes down to your personal tastes. This might seem like a strange question to ask, as you are hardly going to take your alarm system to work with you. However, it is pertinent when it comes to moving house. Wireless systems can be packed up to be moved relatively easily. After your initial investment, you can keep it with you until the entire system has to be replaced at the end of its lifespan. Wired systems cannot be moved. They are hard-wired into the house, and as such will have to be left behind when you are moving property. Regardless of what style of system you go for, the most important thing is that you employ a reputable and reliable company to install it. SSH Fire & Security is committed to perfection and guarantees customer satisfaction no matter what the job is. Our technicians are happy to answer any questions you might have and can advise you on what systems might best suit your needs. From small domestic jobs to large commercial projects, look no further than our company. To make an inquiry about our service today, or to schedule in a visit, give us a call now on 0808 164 0280.